Times are certainly tough, and in this economy we have found many customers who have been limited and intimidated by the prices contractors are charging to build a traditional home. Many of our customers have expressed interest in turning our modular log cabins into primary residences that their families can enjoy all year round. Due to the increased demand for modular log cabins, we now offer prefab log cabins that meet local and state building requirements for residential properties. So any of our prefabricated cabins for sale can become your primary residence or economically-priced vacation home. We deliver our prefabricated cabin-style modular homes in several pieces and then assemble the finished product so it’s ready to use on the day of delivery.  Why Choose Our Prefab Cabins & Modular Log Homes? Our prefabricated cabins for sale are completely customizable. We can take your ideas, combine them with our prefab log cabin models, and customize a floor plan that best suits your needs. Building pre-fab modular cabins saves time. Rather than waiting for a traditional builder to complete your new home over many months, we can have our modular log cabins delivered in just a few weeks. 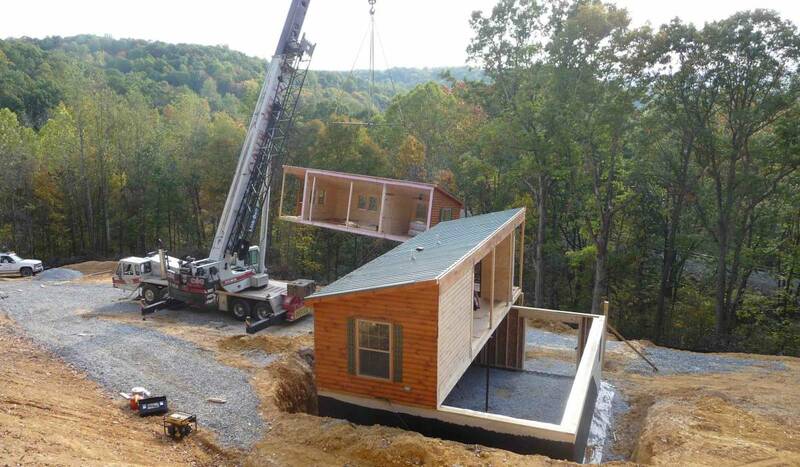 Our Prefab log cabins are already state approved and inspected. Our modular home builder’s license means that all of the inspections necessary for our modular log cabins are already done. 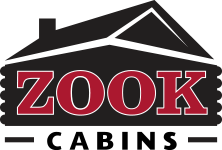 You will not have to have a local inspector go through your building and inspect your framing, plumbing and wiring. All the local inspector would need to inspect would be your foundation, and the attachment of your building to the foundation. Ready to build your new modular log home? Call us today at (610) 593-4556 and let us put together a full quote, including the modular home package on the building of your choice! 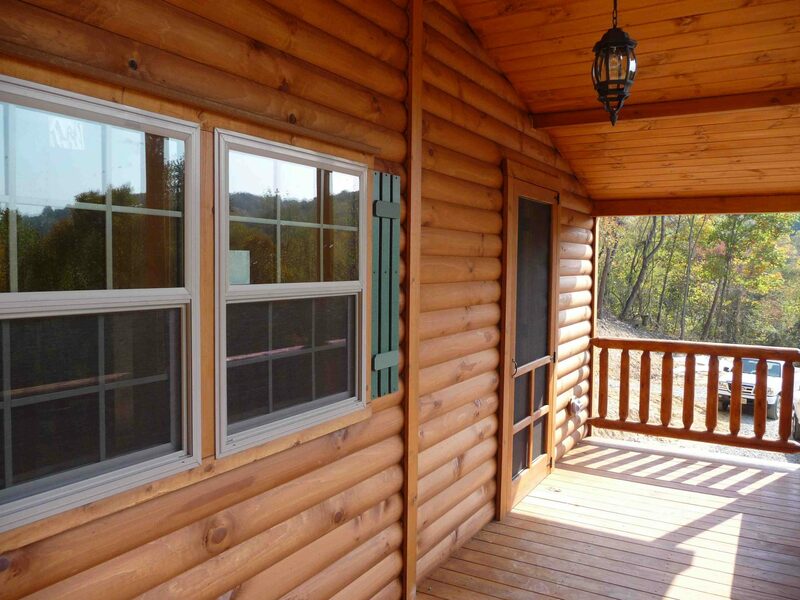 You sit down with one of our experienced modular log cabin home designers. Based on the models that we have, and your needs and ideas, we work with you to design your modular log cabin. We go over the size of all the rooms, options that you would like to add, and all the details that go into the construction of the building. We take all the ideas that we discussed for you and input them into our computer to generate a preliminary drawing of your floor plan that shows you all the details of your beautiful cabin. You would then look over the drawing and make any necessary changes or adjustments to the modular cabin floor plan. When we have the details to your floor plan ironed out and you are happy with everything, we ask for a small deposit to cover the cost of your engineered set of prints. We send your drawing off to the engineer to have a full set of prints generated. Prints include all of your elevations, your section details, plumbing and electrical schematics, and foundational details. Your full drawing packet also includes all of your calculations. When your drawings are complete you will receive copies of the drawings that can be submitted to your local zoning office to enable you to obtain the necessary building permits. Drawings can also be submitted to your local contractors to obtain quotes for your prefab cabin site preparation. We build all of our log cabin modular homes in the controlled environment of our shop, and throughout the course of the build, a third party inspector comes in to inspect the various components of each build. This allows us to provide you with a building that meets all state and local building requirements. When the building arrives at your location, all of the inspections for the building itself are complete, meaning that a local inspector does not need to set foot in the building for your inspection. Local inspectors will check your site and the connection of your building to it. We will deliver your new modular log cabin to your prepared site and take care of any finish details to your building. Delivery is by truck and trailer, and you can read more about that on our delivery page. You move in to your new modular log cabin! A Modular Cabin can give you better resale value on a vacation property, as it offers the potential buyer the possibility of a full time residence! What is the difference between modular homes, prefab homes, manufactured homes and mobile homes? In terms of how the building looks, most people would not be able to pick up on the differences, but there are several elements that do change. 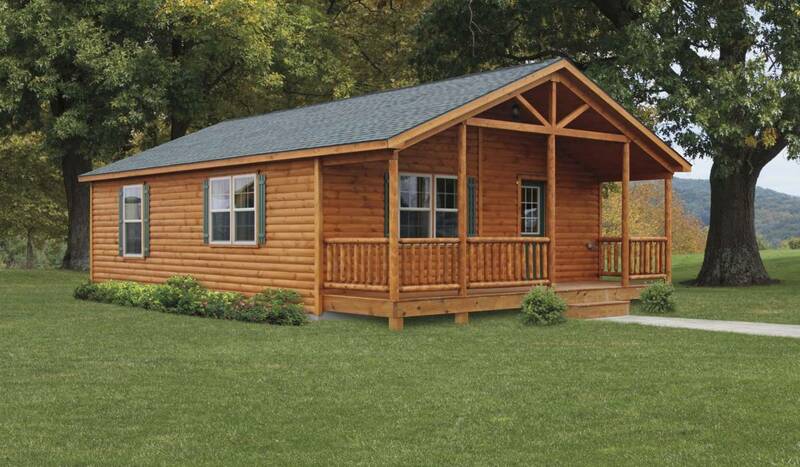 Our prefab log cabins come with a full set of engineered drawings that have been approved by your state. Through the course of the building of your modular log cabin, a third party inspector, inspects your cabin in our shop. This allows for your modular log cabin to be delivered to your site, already inspected and ready to go. Upon delivery you would not need a local inspector to inspect anything with the building, but only your foundation, the connection of your building to your foundation, and your electric hookups. In many areas a modular log cabin also includes some structural and building changes to meet all building and energy codes including using 2×6 stud walls as opposed to 2×4, increased insulation in the floor, walls, and ceiling, and finished wiring. Call us today at (610) 593-4556 and let us put together a full quote including the modular home package on the model of your choice. Log Cabin Home Styles FREE Quote! How does the cost of a cabin built as a modular home compare to a recreational cabin? A good rule of thumb in determining the cost of a modular cabin upgrade would be to take the total package price of a building, and add 10%. That additional charge covers the cost of all the engineering, all your stamps, and the necessary upgrades to your prefabricated cabin to meet all codes.